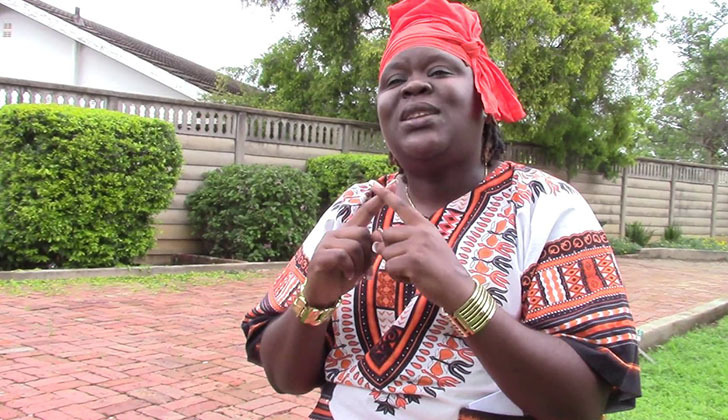 Spokesperson of the MDC-T Linda Masarira has condemned the violent protests that took place on Monday saying only dialogue is the solution to Zimbabwe's challenges. "People have a right to peaceful demonstrations as enshrined in section 59 of the constitution of Zimbabwe." Masarira said. "The moment violence commences that demonstration becomes illegal. Any form of violence is a punishable offense in our country." Masarira accused MDC Alliance of inciting violent demonstrations in order to demonise the government and force America to impose more sanctions on Zimbabwe. "We all want the government to deliver but there is no way we can wake up tomorrow and we are in bliss. It's not a secret the government faces a mammoth task to turn around the economy the work required is humongous. People are suffering. We are all suffering." Masarira called for engagement and dialogue as a solution to the country's problems. There is no way violent demonstrations on the mythical belief that Chamisa is the messiah who will rain manna from heaven in a fortnight can make Zimbabwe better. We need to nurture unity in our diversity and engagement through dialogue than putting people's lives at risk. Meanwhile soldiers were deployed on Tuesday to assist the police in restoring law and order after Monday's violent protest. There were reports that soldiers were beating people and abducting them on Tuesday.